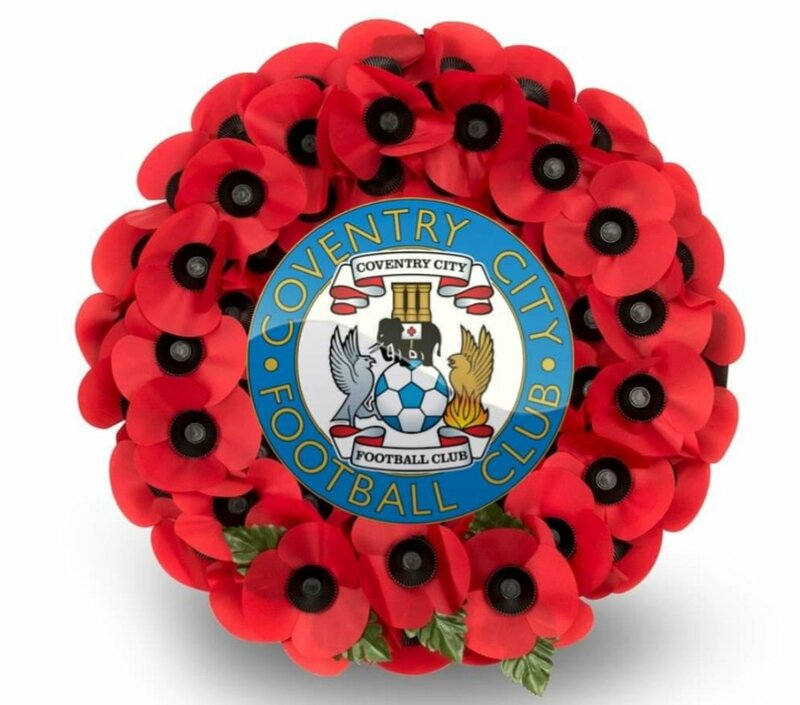 There will be a minute's silence before Coventry City's League One game with Accrington Stanley at the Ricoh Arena on Saturday. The minute's silence is part of the act of remembrance for Armistice Day and Remembrance Sunday and will, the club have confirmed, also remember those who killed, maimed or injured, were affected by and helped to rebuild our city, following the Coventry Blitz in 1940 and those who lost their lives in the helicopter crash in Leicester last Saturday. .
Members of the Armed Forces past and present will also be honoured and remembered before a game which sees City players wearing a poppy on their shirts.